Chong-Su Cho is a Research Professor, Research Institute for Agriculture and Life Sciences, Seoul National University after retirement in 2010 at Seoul National University. He worked as assistant, associate and full professor at Chonnam National University of Korea from 1979 to 1998. And he worked as a professor at Seoul National University from 1988 to 2010. He received his bachelor degree from Department of Sericulture at Seoul National University in February 1970, master degree from Department of Polymer Engineering at Tokyo Agriculture and Technology in March 1976, and Ph.D. degree from Department of Polymer Engineering, Tokyo Institute of Technology in March 1979. He worked with Prof. Allan Hoffman at University of Washington as a post-doctor from 1982 to 1983 and worked with Prof. Sung-Wan Kim at University of Utah as a post-doctor from 1983 to 1984, and worked with him as a research associate from 1991 to 1992. His research interests are drug delivery system, gene delivery, agricultural biotechnology and tissue engineering. 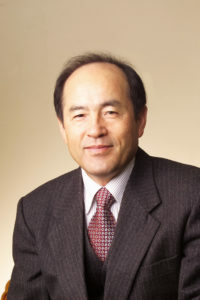 Professor Cho has received numerous awards such as Fellow of Korean Academy of Science and Technology from 2004, Fellow of International Union of Societies for Biomaterials Science and Engineering from 2004, Korean Science and Technology Minister Research Award in 1990 and 2009, Korean Polymer Society Sangam Award in 2001, Korean Health and Welfare Outstanding Research Award in 2004, International Controlled Release Society Outstanding Pharmaceutical Paper Award in 2007, Korean National Academy Award in 2009, Korean Government Nokjo Medal in 2010 and Distinguished Alumi Award from College of Agriculture and Life Science in Seoul National University in 2016. He has published 530 peer reviewed scientific papers including reviews (citation number: 11,678 and h-index:57), 38 book chapters and received 46 patents. He served as a president of Korean Chitosan and Chitin Society from 2007 to 2008, president of Korean Tissue Engineering and Regenerative Medicine in 2008, vice president of Korean Biomaterials Society from 2006 to 2007 and vice president of Korean Stem Cell Society in 2009. He has served as an Associate Editor in Biomaterials from 2014 and Editor-in-Chief in Tissue Engineering and Regenerative Medicine from 2015.